The Crosstown stop at Pharmacy will be at surface. The accessible stop will be a parallel side platform, with the stop located on the east side of the intersection of Eglinton Avenue East and Pharmacy Avenue. 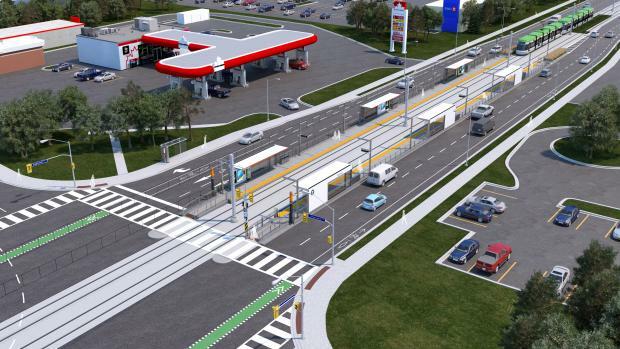 Disclaimer: These renderings represent station and stop design at a level of 90 per cent. Renderings are for illustrative purposes only and are subject to change. Get the latest information faster! By signing up, you agree to receive the Crosstown newsletter.